2016 F350 Super Duty King Ranch in Blue Jeans Metallic with Caribou Lower Accent. Loaded Factory equipment. Lots of custom details and equipment added. Carli 4.5" "Pintop" Kit w/ King By-Pass Shocks, Fabricated Radius Arms, Upgraded Rear Leaf Springs. 18" Method Off Road Wheels w/ 37" Toyo M/T Tires. All upgrades have less than 5K Miles on them. Majority of stock vehicle components included with sale. Amp Deployable Running Boards with Lighting. Sync 3 Retrofit w/ Apple Carplay and Android Auto Capability. Bed Rug w/ Tonneau Cover. Engine/emissions system has never been modified. BALANCE OF FORD FACTORY WARRANTY. SEEN BY APPOINTMENT ONLY - Call for more information. 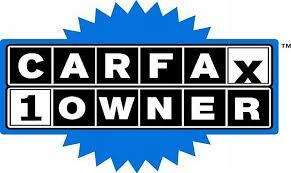 Original dealer window sticker, invoice and records all available for the truck.